This report looks at how developers are embracing the fast-evolving world of m-commerce, the technologies being used by different segments within the mobile developer community and the types of applications to which they are being applied. Recent developments, highlighted in the report, demonstrate just how quickly this market is evolving. Even the dominant players find themselves fighting to keep up, and every business model is under attack. The world of m-commerce is changing fast, and it is far from clear when it might settle down, but in the meantime developers need all the information they can get, which is what this report sets out to provide. What types of m-commerce are developers exploiting? Which regions are making most use of m-commerce? Is Bitcoin a significant platform in m-commerce? 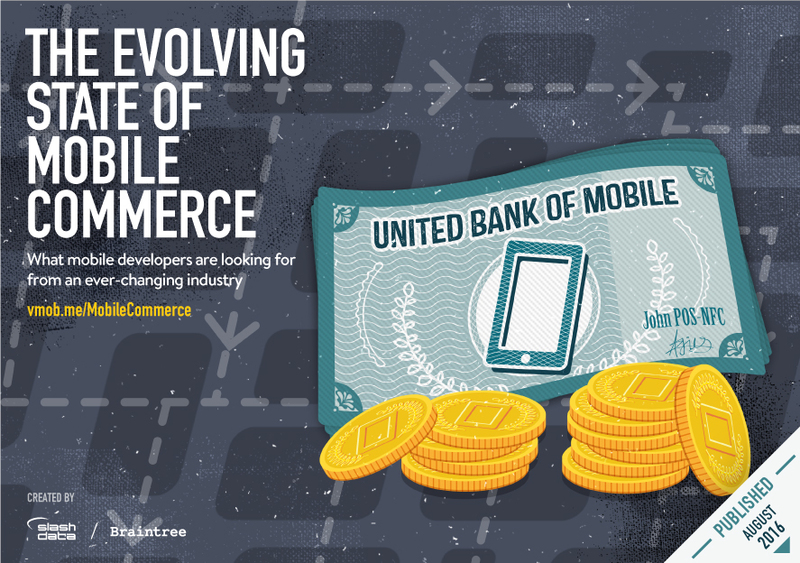 Who are developers targeting with m-commerce? How much revenue are m-commerce developers generating? For the purpose of this report, SlashData has done market research around e-commerce, m-commerce and retail banking systems, as well as analysed data from Developer Economics 10th edition, which reached more than 21,000 developers. Respondents came from over 150 countries, including major app and IoT development hotspots such as the US, China, India, Israel, UK and Russia and stretching all the way to Kenya, Brazil and Jordan. 11,522 were selected at random to answer detailed questions on their role as mobile developers, 1,986 of whom are using m-commerce. This group is the basis of our analysis throughout this report. To minimise the sampling bias in platform distribution across our outreach channels, we weighted the responses to derive a representative platform distribution. We compared the distribution across a number of different developer outreach channels and identified statistically significant channels that exhibited the lowest variability from the platform medians across our whole sample base. From these channels we excluded the channels of our research partners to eliminate sampling bias due to respondents recruited via these channels. Whatever happened to operator billing? CHAPTER 4: What matters most to developers? CHAPTER 5: Who is collecting the money for what?